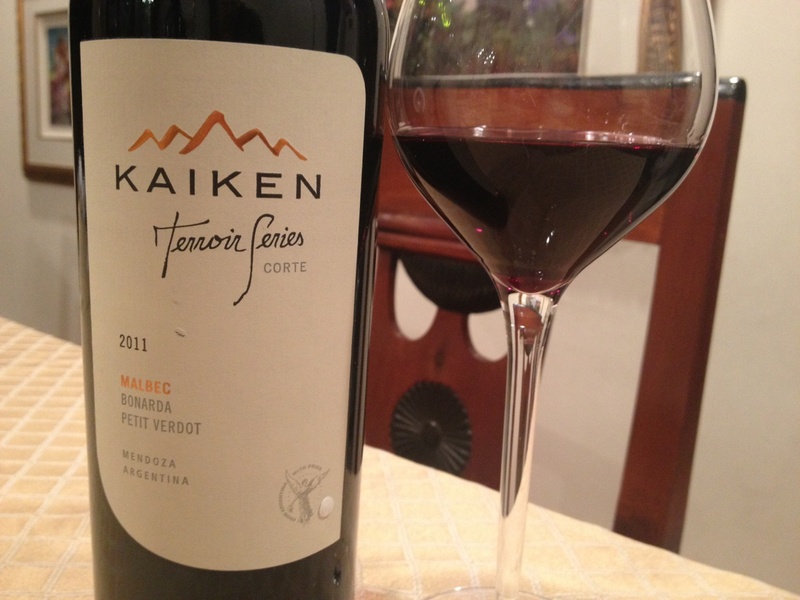 Kaiken Terroir Series 2011, Mendoza, Argentina. 14.5% ABV, List price $17/bottle, street price as low as $12/bottle. The color is dark purple with violet edging, while the nose features black fruit and floral notes with a hint of leather. In the mouth, this silky blend of 80% Malbec, 12% Bonarda and 8% Petit Verdot shows medium black plum, cassis and blackberry with matching acidity, and then powerful tannins- this is a meat lovers wine if there ever has been one. There is oak, followed by wet slate, limestone, and black pepper on the smooth and satisfying finish. The petit verdot leads in the mouth with gentle strength in the fruit and helps the finish with her tannin, while the bonarda provides suppleness to the mid-palate. Both add depth and density to the mix. 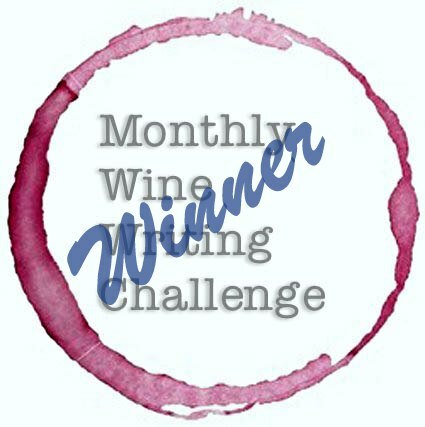 By itself, the malbec would be enough for most red wine drinkers, but this blend demonstrates savvy winemaking and a product that will pair better, more easily, and more often. The Kaiken paired beautifully with lamb meatballs. Did you know that March 9 is National Meatball Day? Now you have a great wine to pair with your meatballs! Need a meatball recipe? Try these! The blend also fares well with strong cheeses and can stand alone but truly shines when tasted in conjunction with a protein. This wine opens up beautifully, showing best results from decanting/aeration when served at room temperature. At this price, Kaiken Terroir Feries offers great value to the consumer with a flavor profile that screams pricey grilled meats and game for upscale dinners but one that is still capable of chilling with a family meatball fest or burgers for the backyard. While some wine drinkers won’t recognize the grape Bonarda, (aka Douce Noir, a small and gently sweet black grape originally from the Savoie region of France) it doesn’t matter- what’s important is the winemaker knows the value the late-ripening grape offers, and is using it to your benefit in creating a wine with great flexibility and depth that competes with wines at a higher price point, which ultimately doubles your pleasure. this is a tease so early in the am. darn it. I am definitely going to try this asap! Thank you for sharing. Thanks for introducing me to the Terroir Series. I know Kaiken because we sell it at our store but always happy to discover new wines. New wines for me at least.